It’s not at all uncommon to develop headaches after an auto accident injury. If you had headaches and migraines prior to the accident they may become more intense or more frequent. Here’s some basic information about post-auto accident headaches and how a chiropractor can help, courtesy of Chiropractic of Bellevue. The two most common reasons for a headache following an auto accident are a blow to the head or whiplash. You might hit your head on a door frame or headrest, or be struck by a loose object in the car, such as a purse. Whiplash occurs when the head is violently thrown backward and forward; the human head can weigh up to 15 pounds, so that’s a lot of stress on the neck. However, the stress of an accident may also act as a migraine trigger, even if you were not injured in any way. Post-Traumatic Headache – caused by trauma to the head and neck. Could co-occur with muscle spasms in the neck. May not appear for several weeks following the accident. 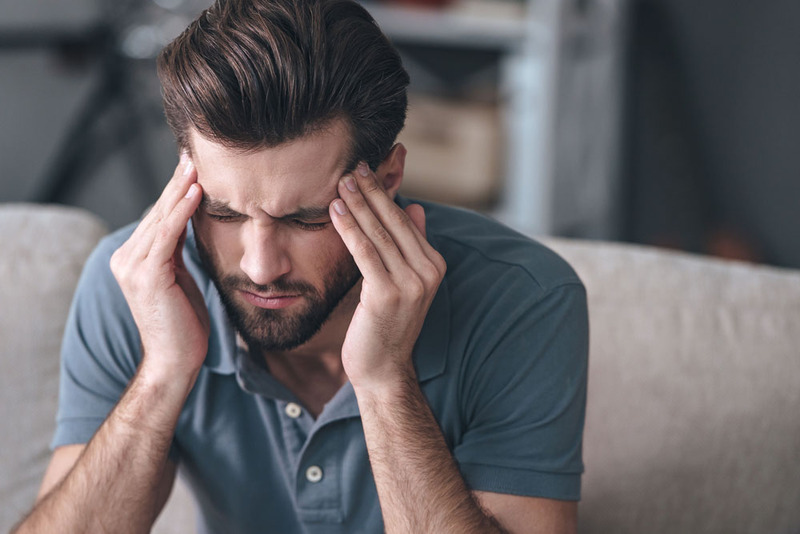 Post-Concussive Headache – this may be a migraine that results from chemical changes in the brain or a headache that is the result of a minor traumatic brain injury. The latter may be accompanied by visual and cognitive changes, speech difficulty or memory problems. Whiplash Headache – the jerking of whiplash can strain muscles and tissues; it can also damage the brain from the impact on the skull. These often appear much later and typically cause pain at the base of the skull. Fracture Headache – bones in the neck or the base of the skull can be fractured in an auto accident. Symptoms may vary according to the location of the fracture but are often accompanied by nausea, confusion, stiff neck, and slurred speech. Pinched Nerve Headache – compression of the spine in an accident can cause pressure on a nerve at the base of the skull. In addition to pain, patients often report tenderness, burning, numbness and tingling from the base of the skull or neck up over the head. A headache that is secondary to an auto accident often results in misalignment in the spine; chiropractic adjustments are an excellent corrective measure. A hand-held tool allows for precise adjustments without pain. Massage can relieve tense muscles and decrease spasm. Exercises can help stretch and strengthen muscles, and promote correct posture. Contact Our Chiropractic Of Bellevue in Bellevue, WA! If you’re suffering from headaches following an auto accident, please contact us at 425-748-8760. Located at 365 118th Avenue SE, we serve Bellevue, WA, and the surrounding area.